Would you look at that? Already working on that wishlist! I own quite a few palettes, but this one is BY FAR the prettiest one yet! The packaging is so elegant and has me at the edge of my seat waiting for Spring to arrive. Yes, I know that Winter just started. But can it be over now? 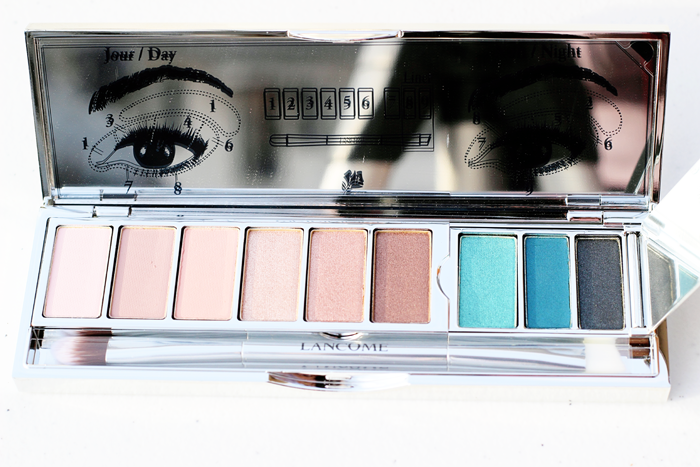 I really like how the darker shadows are enclosed at the end of the palette (the last 2 are technically liners). The rest of the shadows are all sweet and innocent and then you flip open the cover and it’s like ‘Hah! Just kidding! 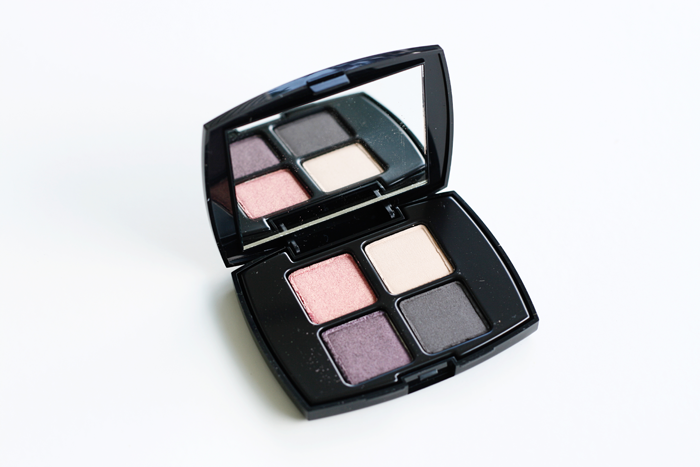 Let’s party!’ This palette also comes with a nifty double ended brush for the shadow and liner application. The shadows were all very soft. I was afraid my finger was going to break through on 1 or 2 of them. Or I could have just been afraid of breaking this beauty in? 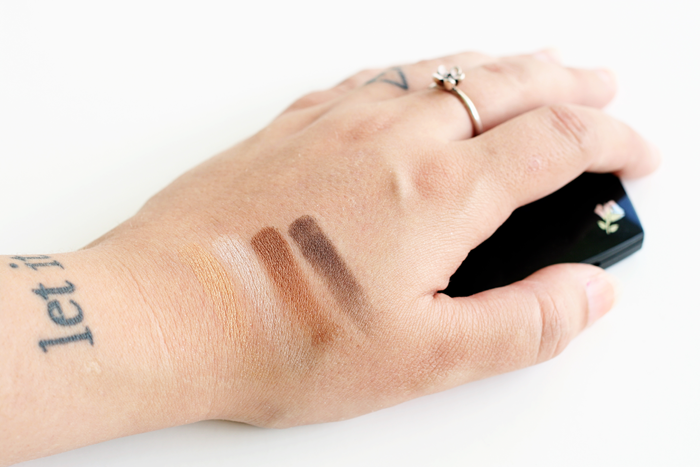 I absolutely love how it swatched and applied. It blended effortlessly! I went for a softer look in the photos below. 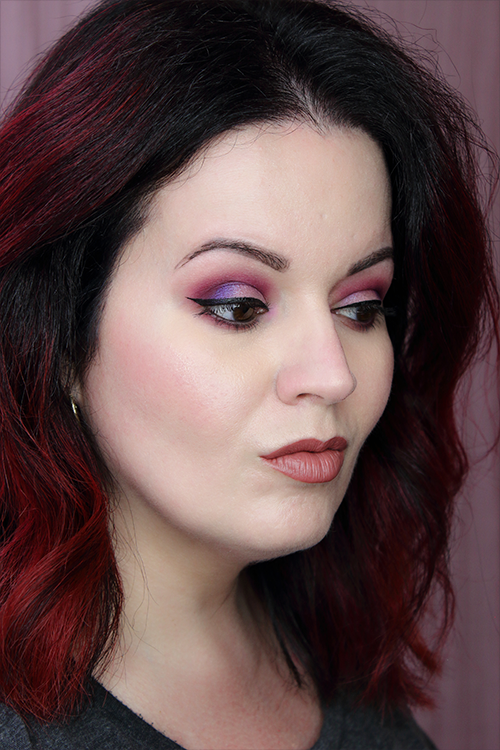 But you can easily go bold with this palette too! I might play around with it more this week and post a few more looks. But for now this is what I did with it and I absolutely LOVE it! I used 6 on my lid, 3 in my crease, 1 on my brow bone and inner corner of my eye, and 7 on my lower lash line. And yes, that’s me still in my pj’s. I took these photos bright and early in the morning and well, it’s my day off. Lazy Lisa was being lazy. Macy’s has a pretty sweet Lancôme gift with purchase when you spend $35 on any Lancôme products. Annnnnd I went a little nuts! I know I mentioned in a previous post that I could care less about makeup bags because I have WAY too many laying around. But I never said anything about tote bags! Needless to say the tote bags are what did it for me. I can so use these at the lake this Summer. The choices are a blue tote with a coral flower or a coral tote with a coral flower. I’d say they’re very similar to those reusable shopping bags, but maybe not as durable. I do think they’d be perfect for the beach or lake though. You also get a Bi-Facil Double Action Eye Makeup Remover, your choice of serum (Génifique Youth Activating Concentrate or Vissionnaire Advanced Skin Corrector), your choice of eye cream (Génifique Eye Youth Activating Eye Concentrate or High Résolution Eye Refill-3x Triple Action Renewal Anti-Wrinkle Eye Cream), your choice of palette (Smoky or Bronze), and your choice of mascara (Définicils High Definition Mascara or Hypnôse Drama Full Body Volume Mascara). I placed 2 orders so that I could get both bags and both palettes. Yes, I’m a cheater, but there were quite a few items I wanted to get so I just broke it down a bit. 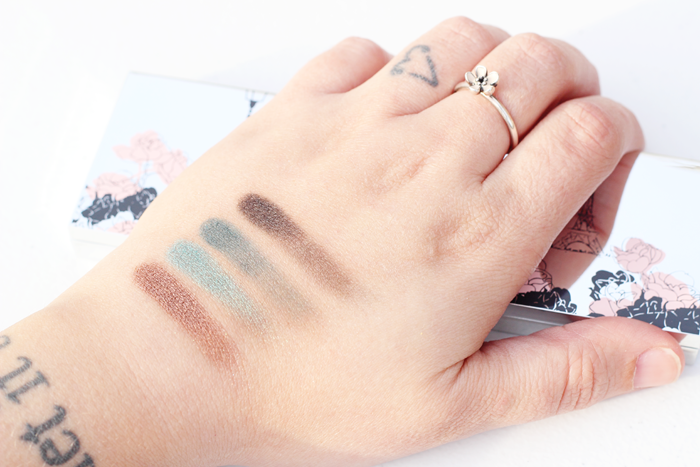 You can see swatches for both of the palettes that came with the GWP above. I really do love the Bronze palette. 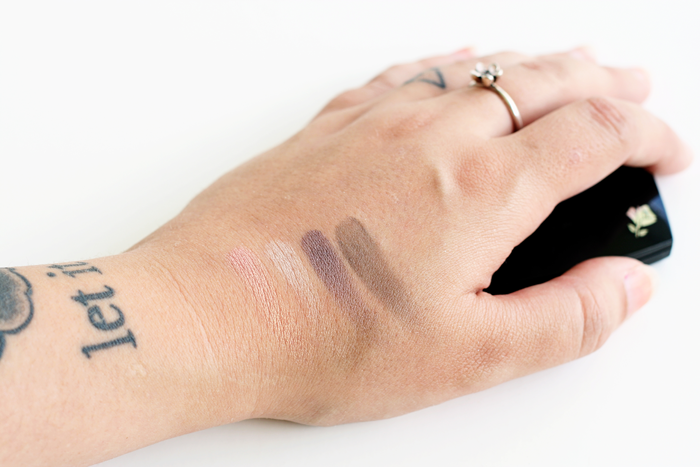 The Smoky palette was rather sheer and needed to be built up a bit to even show up in the photo. 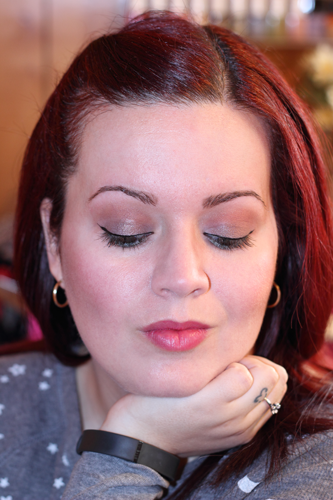 The Bronze palette on the other hand was much more pigmented and had better texture. 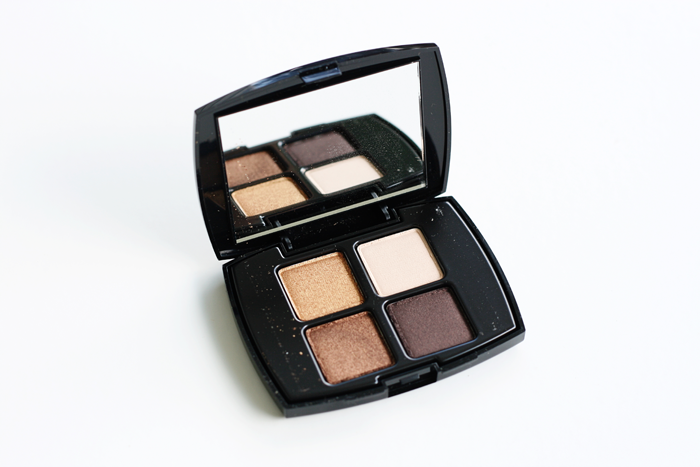 It’s also more Summer friendly with the beautiful bronze shades. I plan on breaking the haul up into parts so that there won’t be one huge photo heavy post. 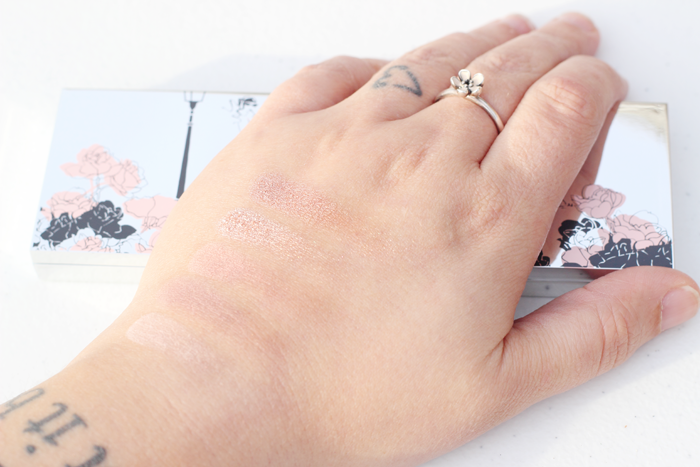 So be on the lookout for swatches of the lipglosses, lipsticks, nail polishes, and Emerald Decadence palette. 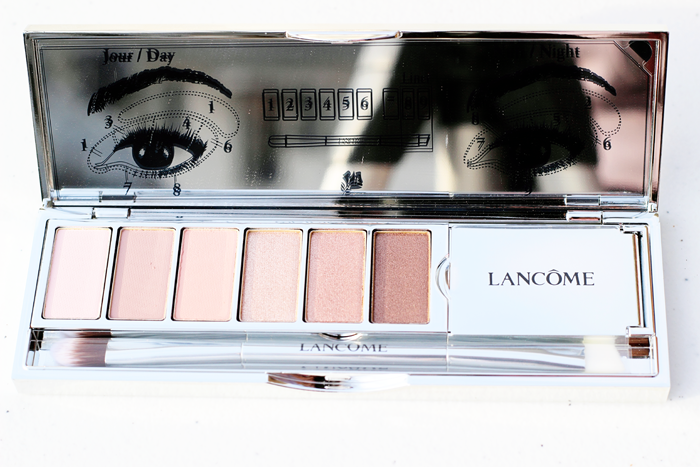 This is definitely one of the better GWP. I’m not usually drawn to them, but like I said… the tote bags were super cute! 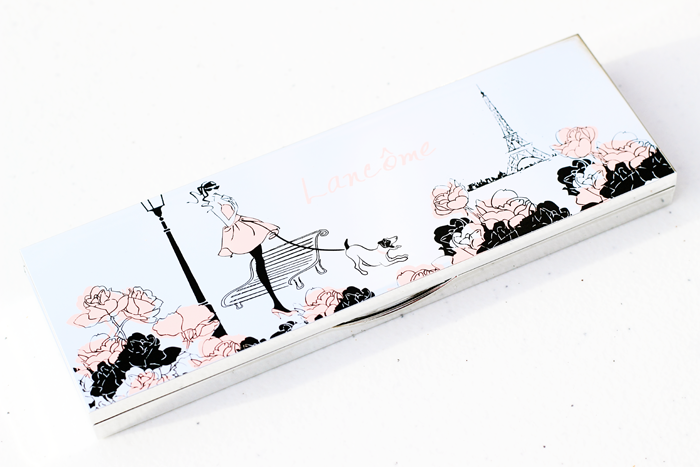 Last week Lancôme had a pretty sweet Gift With Purchase deal. 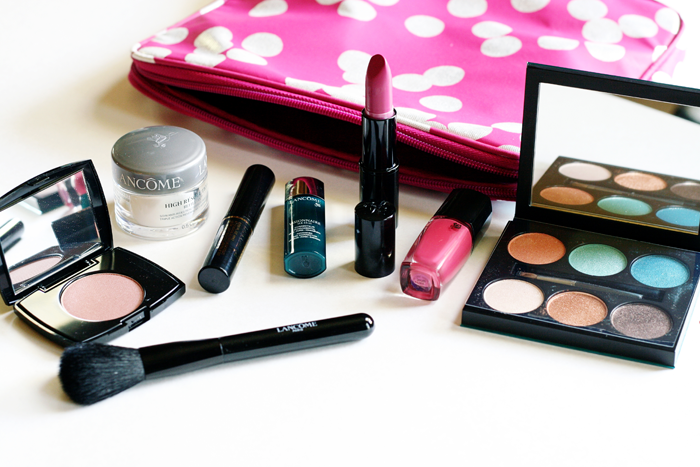 Shown above you can see my mini haul including my 2 purchases and GWP. 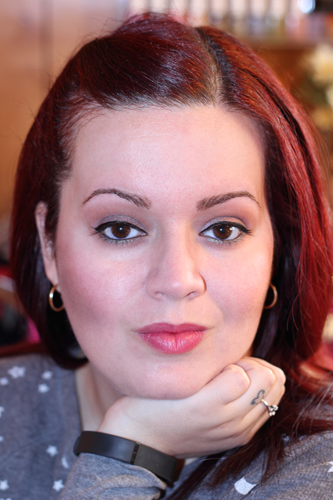 The GWP are the blush in Shimmer Mocha Havana and the Color Design Lipstick in Wannabe. I also got a blush brush, Visionnaire Advanced Skin Corrector, High Résolution Refill-3X™ Triple Action Renewal Anti-Wrinkle Cream SPF 15, Hypnôse Drama Mascara in Black, and a super pretty iPad case. I even got a 10% off coupon for my next purchase. Pretty nifty, huh? The nail polish is a really pretty rose pink. It applied nicely with hardly no streaking. However, it started chipping on just the 2nd day. It’s mostly just the tips so that’s not too bad, but I was expecting a lot longer wear time. The blush is a shimmery bronze pink which is just gorgeous! This lasted a good 8+ hours. I also really LOVE the Hypnôse Drama Mascara. If you’re bummed that you missed out, Macy’s is having a similar deal starting May 7th. 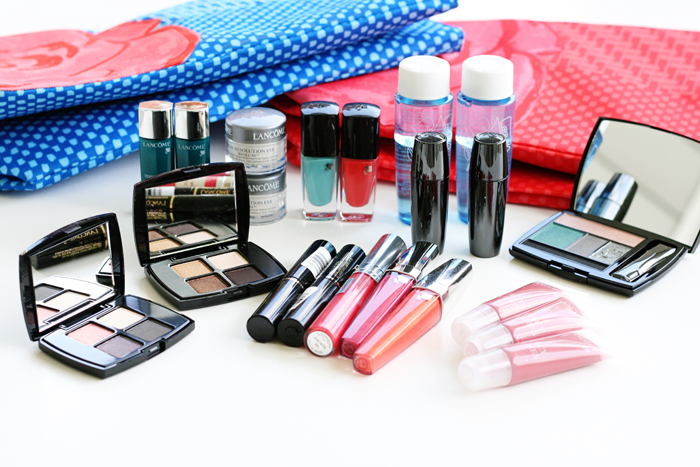 Only you get a super cute tote bag along with about 6 samples when you spend a certain amount of money on any Lancôme products. If I’m not mistaken I think it’s about $65. I lost the flier otherwise I would double check.